Congratulations to everyone involved in the huge junior match today, especially Mick with his large team from Baconstown (Enfield). Our thanks to our junior visitors from Baconstown (and their parents!) 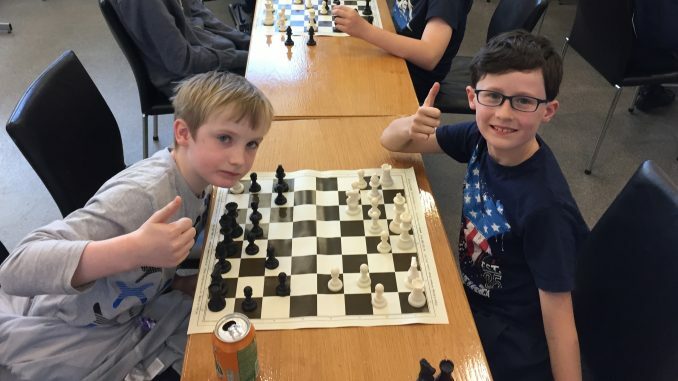 who put on a great show of chess strength over a 25 board match with our club, Blanchardstown. I am not aware of anyone having played such a huge club-to-club match before, and it was great fun! 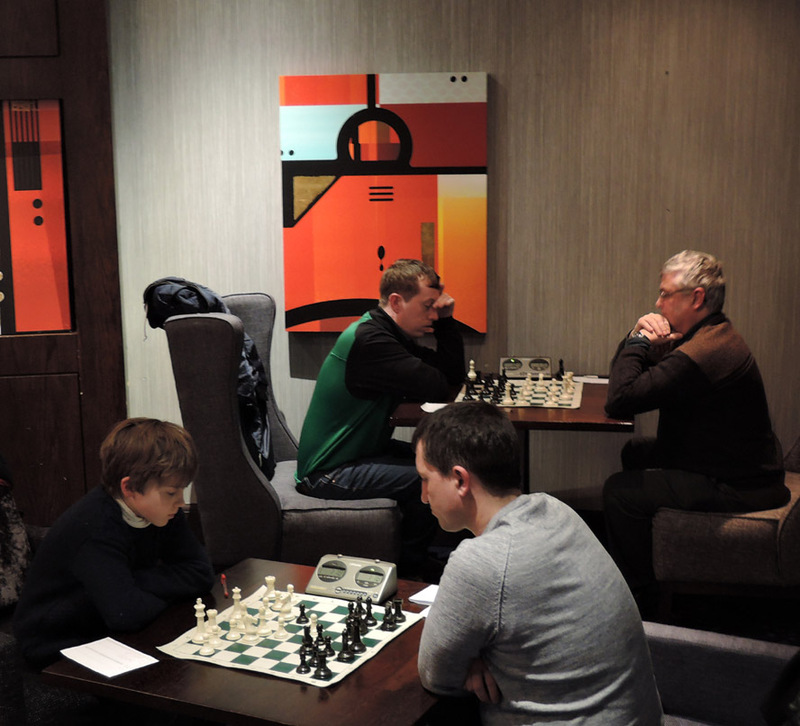 The format followed was that juniors played two games (with clocks optional), one with each colour. The formal match was not scored (it was a friendly!!) and was also followed by a small fun diversion for everyone to play Swap Chess! Chess friends were made and this was important of course. Many thanks to Angelo Moore for organising us; and especially to Una for organising the teas/biscuits and organising the parents. Also to John Delaney (FM) and Mick (Enfield) for helping to run the chess day. The sense of buzz and excitement was palpable and this augurs well for a possible return match in Enfield some time later in the year!